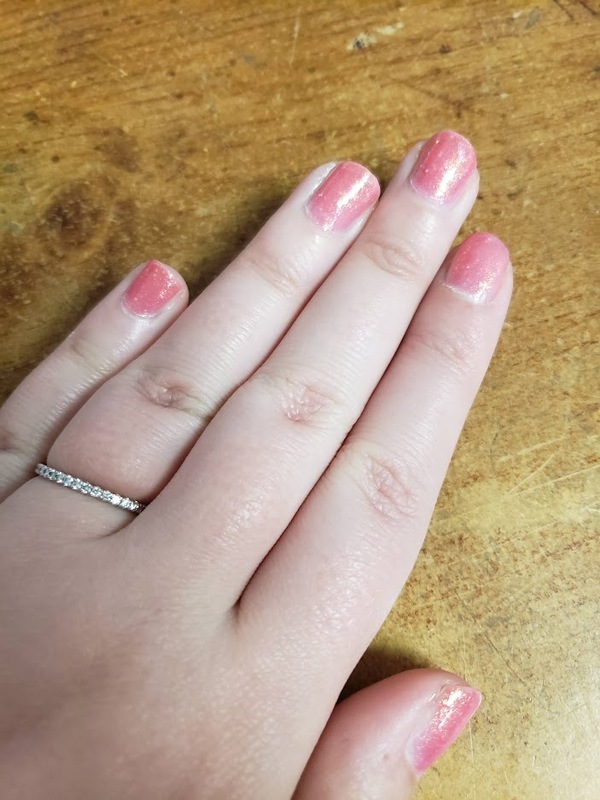 I saw this exact combination over on the Finger Candy blog and I knew that I had to have this one for my own, it’s just so sparkly and so pink, which is right up my alley. This is the KB Shimmer polish in Turning Pointe with and Essie topcoat overtop in the shade A Cut Above. 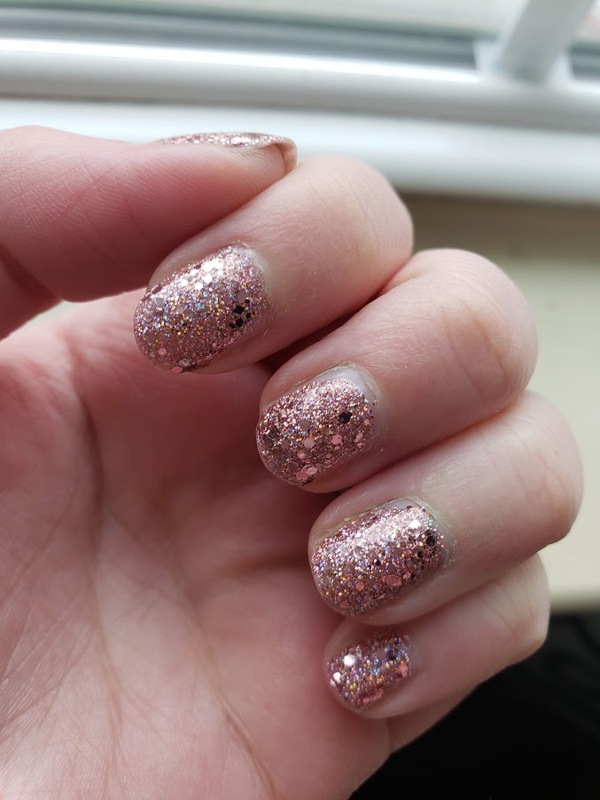 This goes together perfectly and is just so sparkly, plus it lasts really well on the nails so I for sure can see myself wearing this one again. 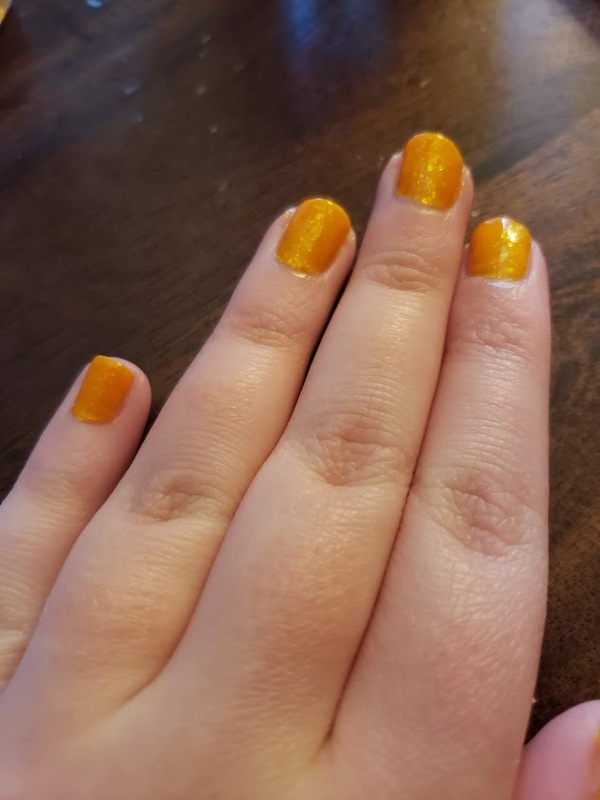 This is an Emily de Molly polish in the shade Trips Abroad, I purchased this after my review and I love this color, it is seriously so pretty as it is a lovely kind of macaroni and cheese yellow-orange shade with sparkle. This is a shade that I really love and will be wearing again in the summertime for sure. This next one is such a fun and springy color, this is the shade St. Clair from KL Polish. I love this shade and am so happy that I have picked it up because it is stunning, this also wore really well which is always nice if you ask me. This next one is for sure one that I picked up because of the name, this is my one and only Mac nail polish and it is in the shade Only In Florida. So, I picked this up because of the name but I do really love the color of it, however, I wish the formula were better because it’s not that great and it doesn’t seem to stay on the nails very well. So I am on the fence about this one. Color Club Shine Theory is a color changing polish that I tried out this month, I love thermals as you guys can probably tell and I wanted so many from this line, but I am glad that I only picked one up. 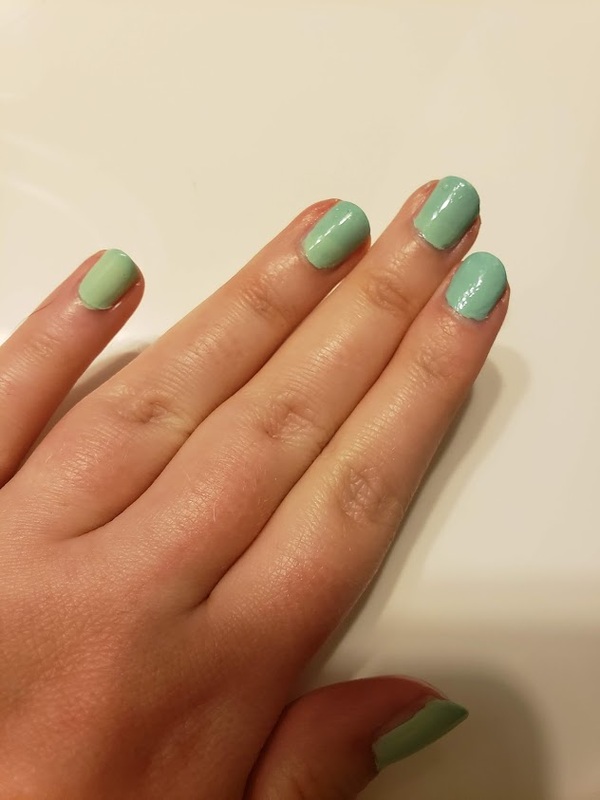 I did not like this, I didn’t like the light color for this and I hated the formula, I found that it was hard to apply and just didn’t end up looking good on the nails if you ask me. So, I have passed this one along to a new home for someone who might like it more. The last polish of this month is the one currently on my fingers as I type this, this is the shade Harper from Zoya. 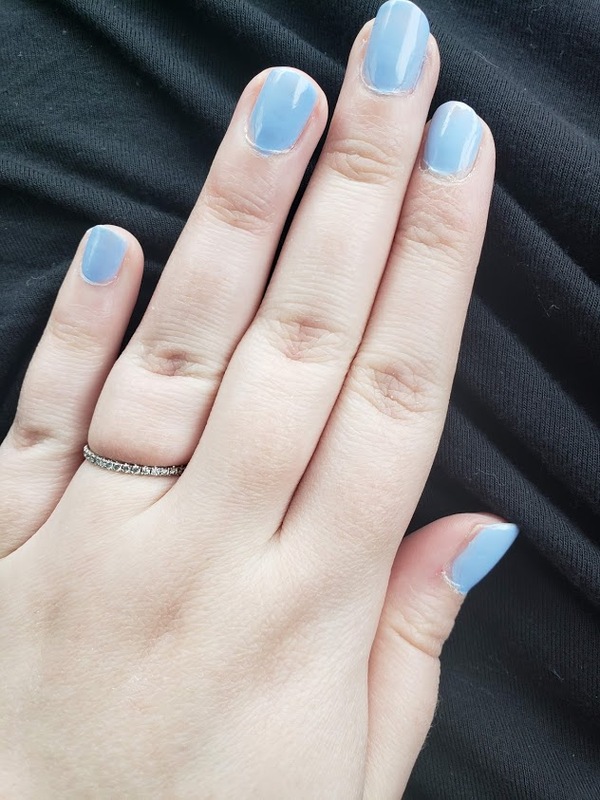 I love Zoya polishes and this one is no exception, it’s a really beautiful shade that feels perfect for the springtime. 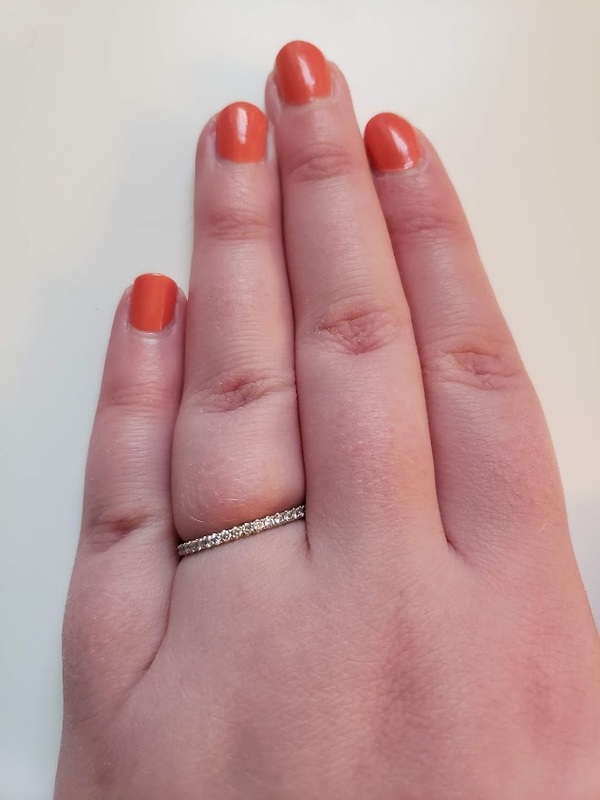 This polish was a little bit sheer and it did take three coats to get it fully opaque, but I am alright with that because it did eventually get there and it didn’t take that much more effort than typical polish. So, it is safe to say that I love this one and will be wearing this one again. 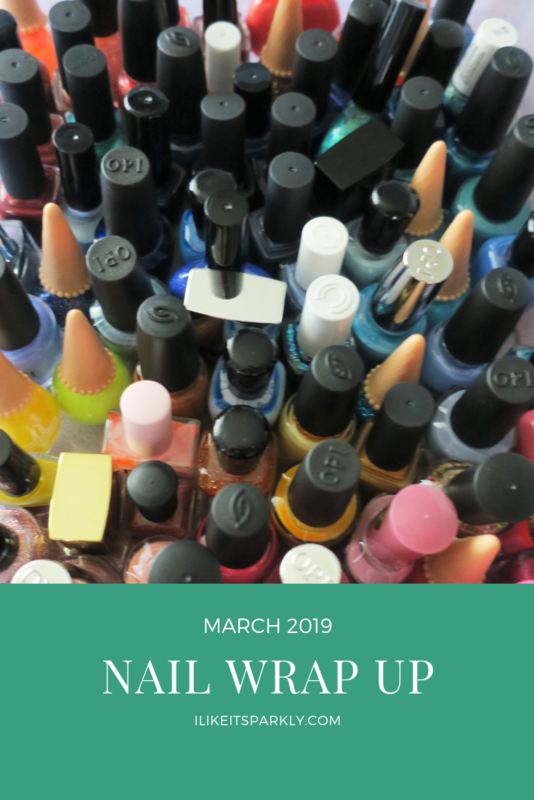 And those are all of the nail colors that I wore in the month of March, nothing super exciting in terms of design this month but a lot of color changes and I am really happy with that, I just love doing my nails and also I have been decluttering so the more I try, the more I get to declutter. Which means I’m either closer to buying more or closer to have the exact collection that I want. Either way, I am excited. Glitter can be the worst but it’s so pretty that it’s kind of worth it. I try to use peelable bases when doing straight up glitter but even those have their downfalls. I love this combo so much and am so happy I heard about it, thank you! The only real problem with it is that I start peeling it off without even realizing it. haha. That’s one of my favorites, I just love that shade of yellow! haha.